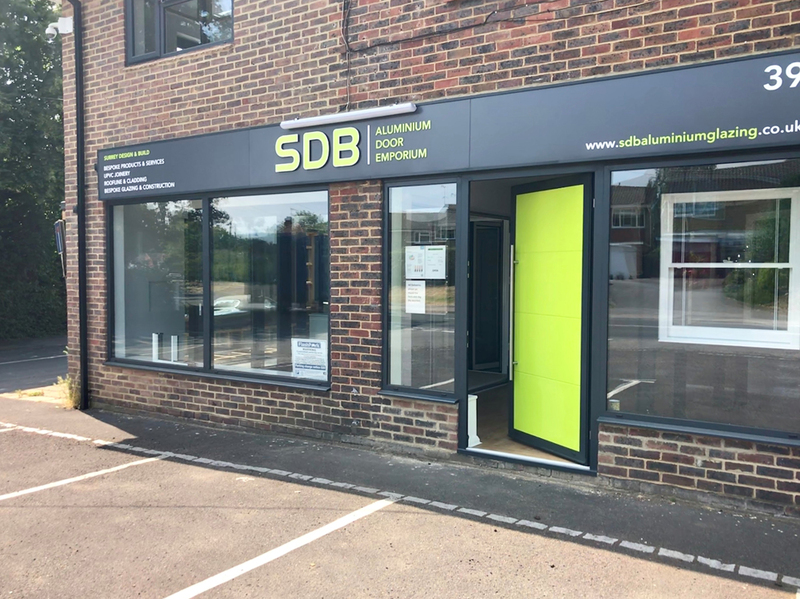 From our showroom in Chobham, Surrey, we can accommodate all your bifolding door requirements. We have a slate-grey set of Schuco folding doors in our showroom (situated between the M3 and M25). All our doors are fitted by trained professionals, directly employed by us. We do not use sub-contracted labour. Why Choose Schuco Bi Folding Doors? For all your building projects, a Schuco folding door is the clear choice. when fully opened, with its leaves stacked to one side, a typical door allows a clear opening of as much as 95%. Also, Schuco doors are your best choice for large openings, with the ability to accommodate almost any size aperture, together with low thresholds, a huge selection of colours and handles, Schuco offers customers real choice. 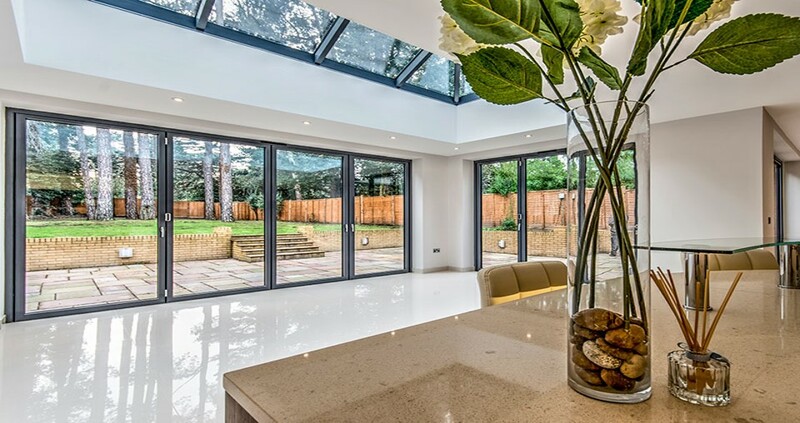 Schuco bifolding doors have been designed to look good and perform superbly year after year, opening and closing effortlessly on precision rollers, usually requiring no more than a fingertip pressure to open or close them. Every door is designed to provide optimum thermal insulation and weather tightness making them proof against the worst winter weather, ensuring that you're warm and comfortable when the weather turns cold. With slim face-widths allow for the maximum area of clear glass enabling more light to flood into a room. Multi point locking, together with high strength frames ensure that all your security concerns are addressed. Centre pane U value of 1.4 guarantees that the doors are energy efficient thereby saving you money in heating. Plus a 20 year warranty to keep your mind at ease what more can a bifold door offer? 3 sets of bi-fold doors on display at our Chobham showroom! © 2018 Schuco Bi Folding Doors Surrey. All rights reserved.